This extension will export availability information from Planyo to your Holiday Lettings account. This way you only need to keep your availability up to date in Planyo and this extension will automatically sync the Holiday Lettings availability calendar. Running this extension will override your existing availability calendar in Holiday Lettings! You should only update the availability in Planyo! 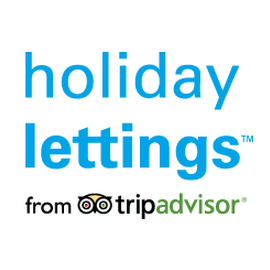 Holiday Lettings advertises more than 65,000 privately owned holiday cottages, villas and apartments in more than 116 countries worldwide. Note that we now have a dedicated extension for TripAdvisor Holiday Rentals which will ensure a full 2-way synchronization of availability. The download version will require that you upload extension files to a directory on your own web server. Your server must have PHP support. The subscription version is easier to set up -- there's no need to upload any files to your server. The first month is free so you can test the extension very easily, also in case you prefer to get the download version later on. Easy set up, only choice if you don't have your own server (or you have one without PHP support) or if you simply want to get started without hassle of going through the longer setup. At any time in the future you will be able to cancel the subscription and purchase to the download version at any time in the future.